Each visitor has their own unique traditions and must-see stops in Gettysburg. Plan a visit and make your own Gettysburg traditions. 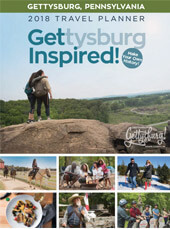 With the Destination Gettysburg My Gettysburg app, website and free travel planner, you have access to places to eat, things to do, places to stay, trip ideas, travel deals and more right at your fingertips! We are also available to answer your questions at 717-334-6724 or info@destinationgettysburg.com. We would like to give a big thank you to everyone who submitted their recommendations. We love hearing each account of fond memories made in Gettysburg.